Boost your energy, promote healthy healthy cholesterol levels, healthy levels of blood sugar, cardiovascular and immune system! 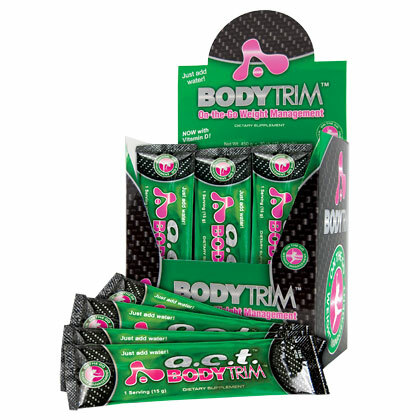 As part of a diet plan and exercise reasonable; BodyTrim helps support and promote healthy weight loss for better health. WARNING: Always consult your personal health professional before starting any exercise program or diet. Order includes 30 packages.